Ever dived the Galapagos or Cocos Island in the Pacific and wondered whether the sharks or other large species you saw have ever traveled between the two protected marine areas? Well, a group of scientists from Ecuador, Costa Rica and other countries wondered the same thing and earlier this year mounted an expedition to find out if that’s the case. 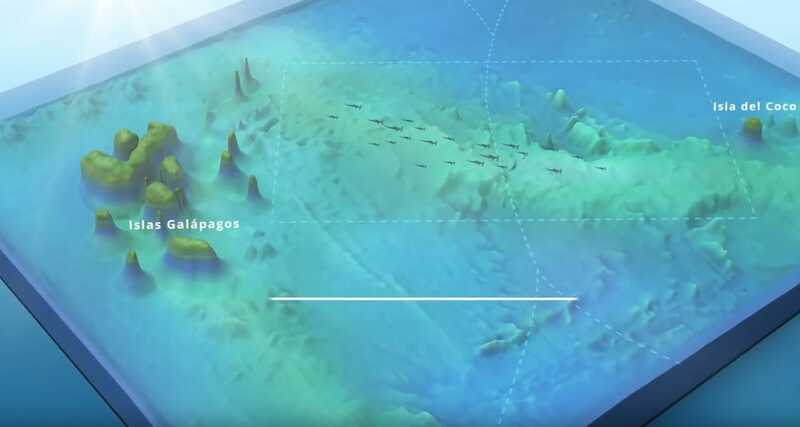 The 10-day expedition began in the Galapagos and visited underwater mountains all along the 800km/497-mile Cocos Mountain Range, which scientists have identified as key navigation points for sharks, rays, whales, dolphins, sea turtles and other pelagic species that call both national parks home. 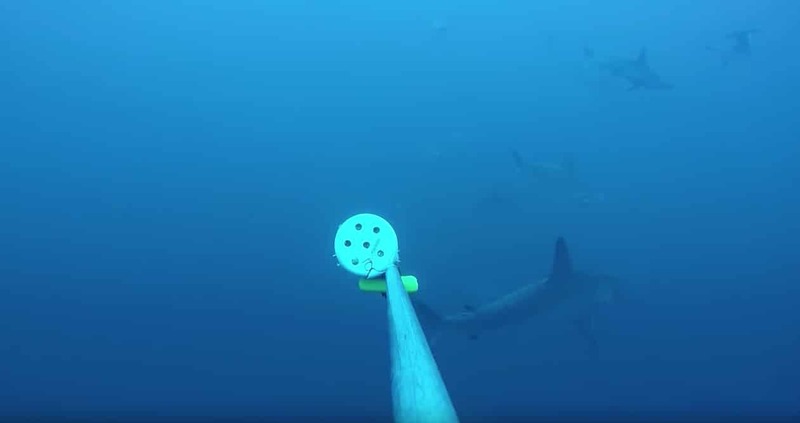 To document that “swimway,” scientists used baited remote underwater video stations, or BRUVS, a technique never before used in this area of the Pacific. BRUVS consist of a metal frame with a video camera and a tube with a bait container at the end. The bait attracts nearby fish that were then recorded on the camera. “Once they get out of the protected area, it’s fair game, and there’s lots of high-seas fishing that goes on for tuna. It’s mostly long lines, and they catch a lot of sharks and a lot of turtles. For more info, check out the video below. Amazing info.. Thank you for sharing!